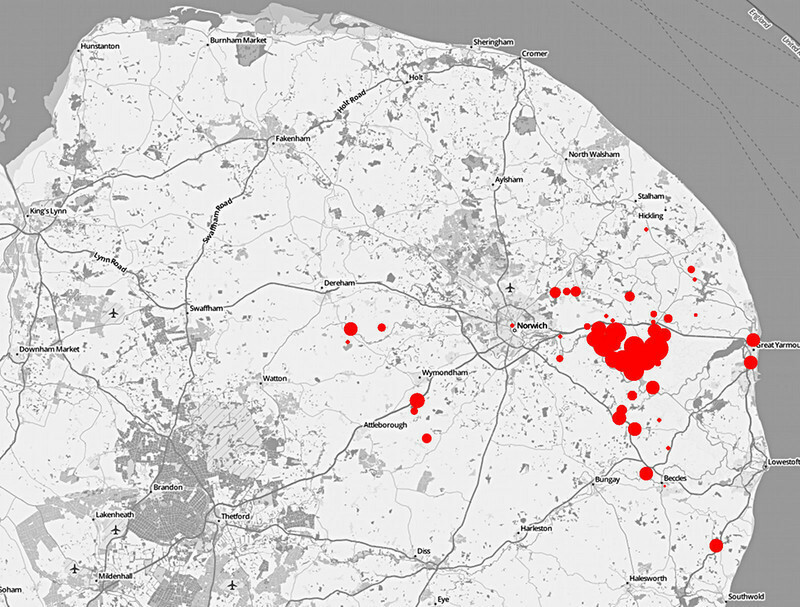 The above map of East Anglia, plots the ancestral events from my Gramps genealogical database, for my mother's ancestry alone. All 100% of the events in her family history occur in East Anglia, with a significant concentration on the loam soils of East Norfolk, north of the River Yare, and shouldering up to the marshes of the Halvergate Triangle. It includes events for the immediate families of 127 direct ancestors, stretching back to the 1680's in places. Events include such things as births, baptisms, marriages, burials, deaths, census records, occupations, residence, etc. Surnames include: Tovell, Tovil, Tammas, Tovell-Tammis, Lawn, Gorll, Gaul, Rowland, Dawes, Curtis, Key, Goffen, Goffin, Waters, Merrison, Morrison, Smith, Dove, Porter, Springall, Thacker, Daynes, Daines, Quantrill, Wymer, Rix, Hagon, Page, Nichols, Nicholes, Shepherd, Ransby, Briggs, Barker, Rose, Brooks, Larke, Dingle, Annison, Britiff, Symonds, Sales, Jacobs, Yallop, Moll, Hewitt, Osborne, Ginby, Ling, Briting, Hardyman, Hardiment, and Norton. Surnames are all English or of Anglo-Danish origin. Recorded religions are: Anglican Church of England, Baptist, Congregationalist (Presbyterian), Methodist, and Weslyan Methodist. No Roman Catholicism, Islam, or Judaism. The area has no significant immigration events in recent centuries, however, it has long held connections with the Dutch. It is not near to the drained Fens (to the West of East Anglia), so would not have attracted any significant immigrant labour. The City of Norwich has had communities of strangers, including medieval Jews, and more substantially, protestant refugees during the 16th century, from the Netherlands. French Huguenots followed to Norwich. The best known immigration to East Anglia, took place during the 4th to 11th centuries AD, from across the North Sea. The elites of the Anglo-Saxon kingdom, claimed descent from the Angles, from Angeln in the Schleswig-Holstein region of Northern Germany, that borders Denmark. The area is rich in Anglo-Danish place-names. East Anglia fell deep into the Dane-law. Total direct ancestors in generations 2 to 10 is 127. 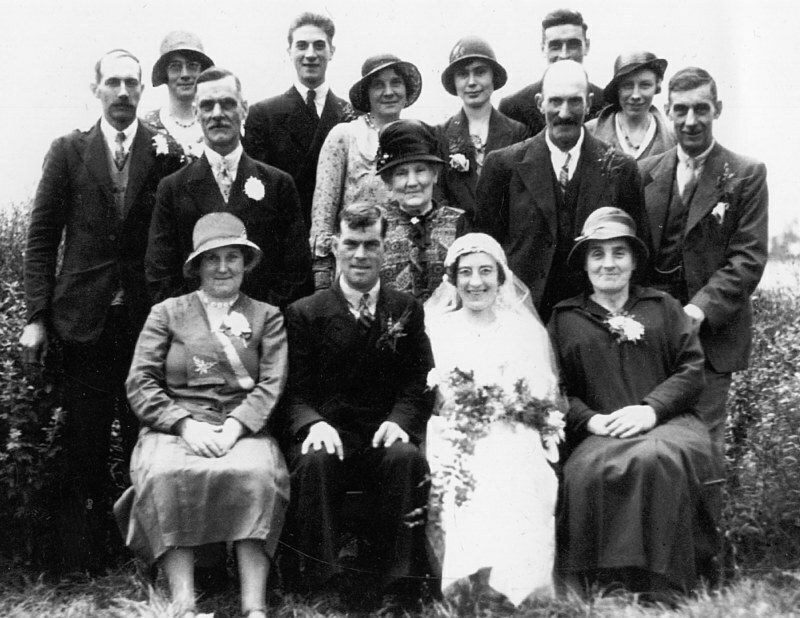 The above photograph is of the wedding of my mother's parents, at Limpenhoe, Norfolk, in 1932. It includes four of my great grandparents, and a great great grandmother. I like to present my mother's heritage as a good reference for an area of particular interest. 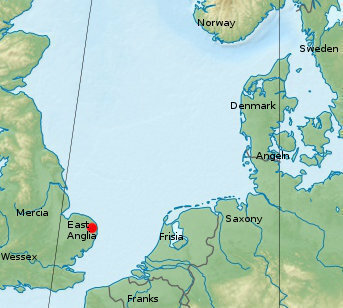 An area that saw substantial early medieval immigration and admixture, from across the North Sea. 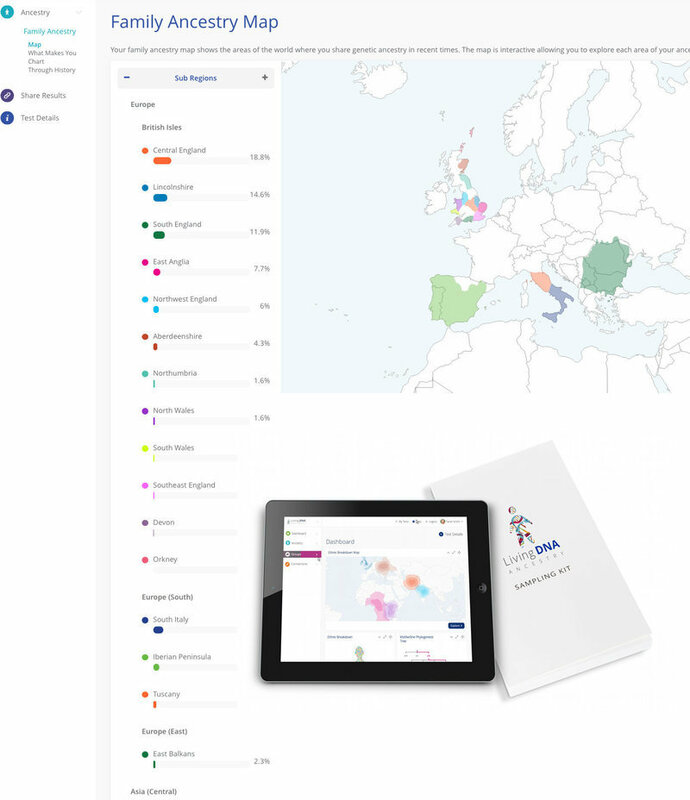 23andMe reports our haplogroup as H6a1. Uploading the raw data to James Lick's mthap analyser, and to WeGene, both give a best match of H6a1a8. That so much of her recorded ancestry, is so deeply rooted into East Anglia over the past 330 years, and particularly that one part of Norfolk, would suggest that she has strong East Anglian ancestry stretching back at least to the early medieval, and perhaps earlier. I have recorded marriage between third, and second cousins, within her East Norfolk direct ancestry.